and sent it to Johan Gadolin. an oxide of the first known rare earth. after Arrhenius’s name for the mineral. 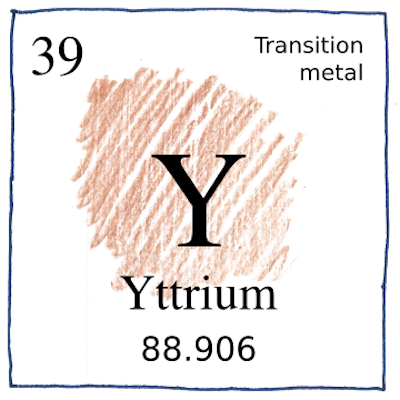 shortened the name to yttria. Carl Gustav Mosander separated yttria into three oxides. and a rose oxide terbia. so named the rose oxide erbia. to television and computer screens. of spark plugs in automobile engines. but like the dirt that green things grow in.